British official confirms his country will not suspend financial aid to the PA even if it turns to the UN for recognition as a state. Britain will not suspend financial aid to the Palestinian Authority if the latter submits a new application to the UN seeking recognition of Palestine as a non-member state of the General Assembly, a British official confirmed Friday. The PA recently announced its intention to turn to the UN General Assembly for recognition as a state. In September 2011, Abbas applied for full UN membership at the UN Security Council. Israel and the U.S. staunchly opposed the bid, which failed due to a lack of support in the 15-member council. Speaking to the Bethlehem-based Ma’an news agency on Friday, UK deputy-consul general in Jerusalem Ben Saoul highlighted that the British government would continue to support the PA financially until 2015 to help build a Palestinian state and support economic development. Britain’s financial aid to the Palestinians is about $160 million per year, he said. A portion of this aid goes directly to the PA’s treasury, and the rest goes through UNRWA and non-governmental organizations. The deputy consul-general said he met with representatives of European donor organizations to discuss the financial crisis in the PA. Ending this crisis, he said, is a top priority for Britain and for the European Union. The PA government currently faces its worst financial crisis since its 1994 establishment. The PA’s labor minister recently warned that a shortfall in the delivery of aid from Arab donor nations means the PA will be unable to pay employees their July salaries or pay off debts it owes to private businesses. 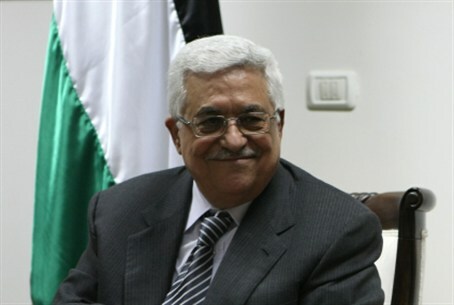 PA Prime Minister Salam Fayyad warned several months ago that the Palestinian Authority may soon fail financially and cease to exist. A PA economist predicted that the PA is on the verge of collapse, warning that the later it happens, the harder it will be. He also refused to give a direct response to Israeli Foreign Minister Avigdor Lieberman’s remarks describing PA Chairman Mahmoud Abbas as an obstacle to the peace process. “I will not address Lieberman’s comments directly because they were directed to the Palestinian people, and not to the British government. However, in general, the legitimate representative of Palestine, in Britain’s view, is Mr. Abbas, and we believe he is a man of peace,” he said. Lieberman wrote a letter to the European Union’s foreign policy chief Catherine Ashton, in which he said that Abbas is an obstacle to peace and does not act in the interests of his own people. Lieberman also wrote that Abbas should be replaced because he "apparently is uninterested or unable... to reach an agreement which would bring an end to the conflict."